OKLAHOMA CITY, OK (KSWO)– Rep. Scott Biggs, R- Chickasha, was among a group of Representatives today that saw an opportunity to help Oklahoma grow and expand its economic base. These Representatives today started sending out invitations to farmers and ranchers in California to consider relocating to Oklahoma. This is due to recent legislation in California that will push family farms out of business by unnecessary statutes and agency rules. "The passing of SB1383 by the California legislature will require a 40 percent reduction in methane gas production by cattle ranchers by 2030. This is just the latest in legislation that will drive the small family farms out of business and force them off the farm. We wanted to make it clear to California cattle ranchers and farmers, that they have another option. They can consider moving to a state that values what they do and supports them in their way of life. 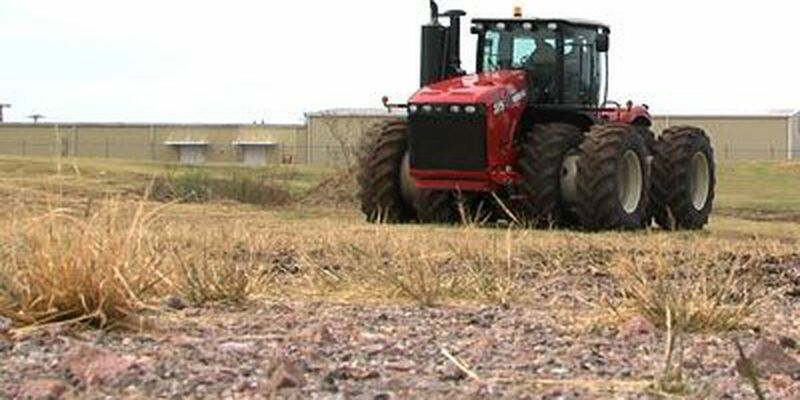 Oklahoma has shown strong support for the Agriculture industry time and time again. Instead of bowing down to animal right activists and passing their legislation, we are passing bills to protect the industry," said Rep. Biggs. "I'm proud to stand with other legislators here in Oklahoma who have hands on experience, understanding, and background in agriculture. We will stand up and defend our farmers and ranchers in this state and the future of agriculture. We will not give into liberal special interest groups that have been and continue to be detrimental to other states and that are detrimental to the future of agriculture," said Rep. Scooter Parks, R-Devol. The Oklahoma Legislature this session passed House Bill 1638, the Agritourism Liability bill, which helped expand and grow the opportunities for children to see firsthand what farming and ranching is all about. State Question 777, the Right to Farm Amendment, was placed on the ballot by the legislature by a combined House and Senate vote of 124-13. Another bill that passed last session and protects the rancher and farmer is House Bill 2504. This bill will increase the punishment for theft of livestock. They wanted to provide support, and information to be a better caregiver.